The 2018 Game Developers Conference, an annual gathering of industry professionals, is set to take place in San Francisco in just two months. Ahead of the event, the GDC organizers have released their regular State of the Industry survey, asking nearly 4,000 game developers what they’re working on and how their most recent games were received. Find out what’s soon to come with our list of upcoming PC games. 11% of those developers are working on a game featuring some kind of loot box system, or “paid item crates” as indicated on the survey. 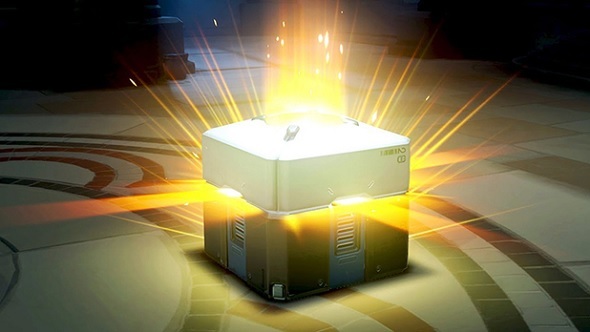 Asked for elaboration, those developers responded with caution, with many saying loot boxes should award only cosmetic items, that those items are accessible without paying, and that the reward system be balanced for gameplay first. Across all games, loot box or not, just under half of the developers surveyed said they were releasing a traditional, paid game, with 39% saying their next title would be “free to download.” 23% are working on a game with DLC, and 22% are working on something which will sell in-game items for real money. PC is the most popular platform for developers, and its lead is expanding – 50% said their last game was released on PC, compared to 45% who said the same last year. By comparison, PS4 had 19%, Xbox One had 15%, and mobile had 32%. That’s a slight drop for mobile, and a slight increase for the consoles over last year. There’s also been a slight waning of interest in VR, but developers are still showing healthy support toward the new technology. 19% of developers said their current game would be for VR headsets, while slightly fewer at 17% said their next game would be VR-ready. Still, 71% believe VR and AR are long-term sustainable businesses, and even if that’s a slight drop from last year’s 75%, it’s still a solid amount of stated support for the platforms.